Floors，especially the wood floors, require regular care and careful cleaning to maintain their warm and beautiful appearance. 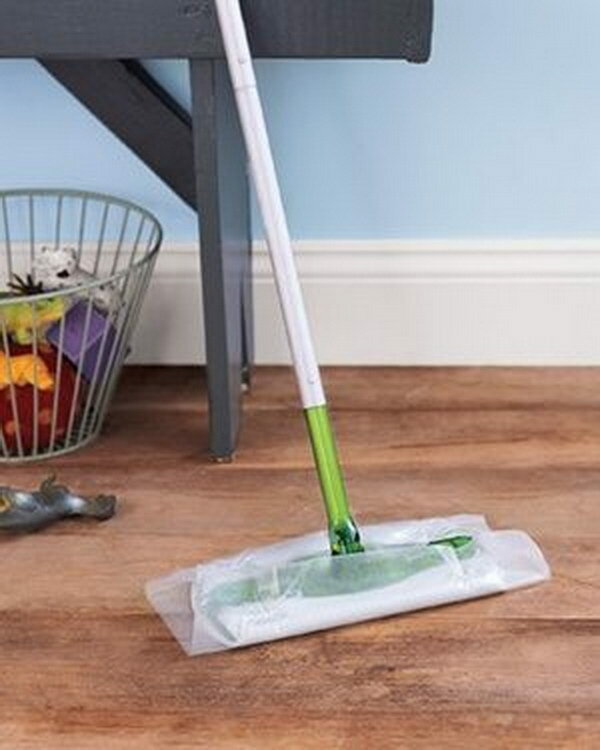 Cleaning products for wood floors are readily available at all supermarkets, but these products are usually too expensive for our budget, and may contain harsh chemicals that may cause health problems for ourselves and our families. 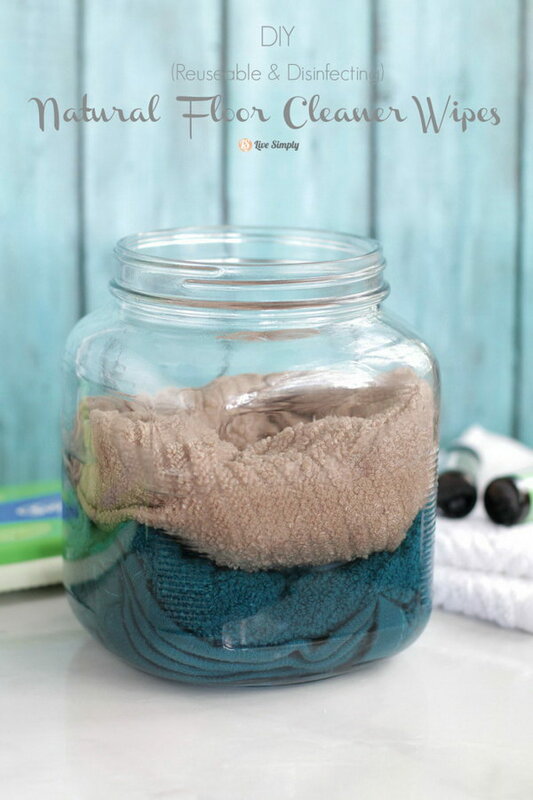 If you want to live a more frugal and natural lifestyle, you can make your own cleaners at home. 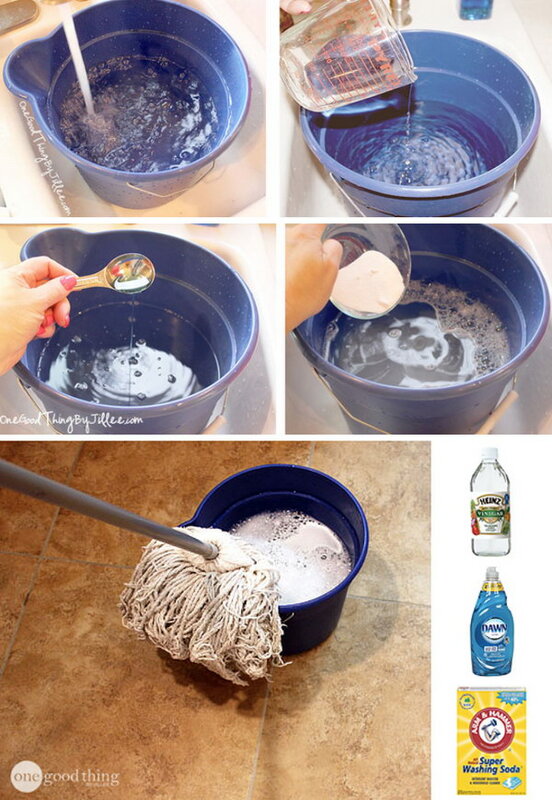 Homemade cleaners are easy, economical and safe. 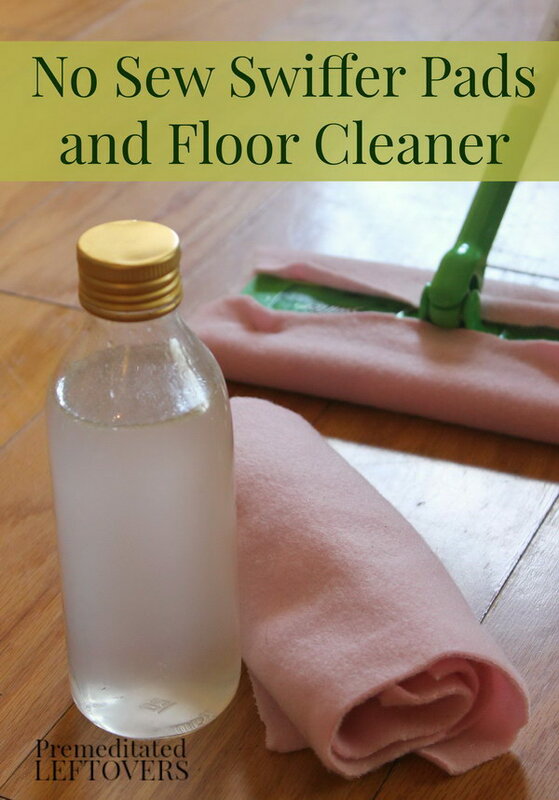 With just several common ingredients, like water, white vinegar, baking soda and liquid soap, we can make our own cleaner to use on our floors. You can also add some essential oils, like lemon or orange for scent. In today’s post, we have a roundup of some genius, natural and homemade floor cleaning products that you should know. All these eco-friendly cleaning products will leave your floors sparkling and shinning! Read on and give it a try! 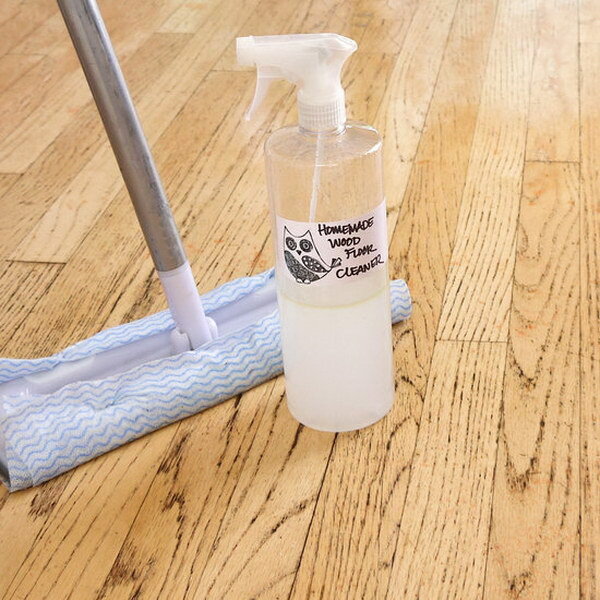 Strip the gunk off your tile floors and leave them smelling clean and fresh with this heavy duty cleaner! Get the recipes and tutorial via 365ish pins. 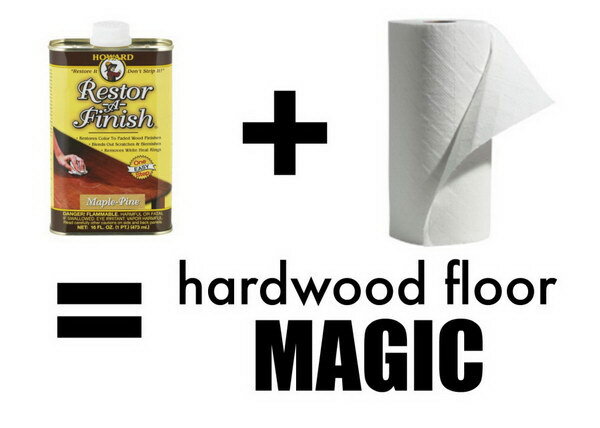 All natural and totally safe for your wood floors! 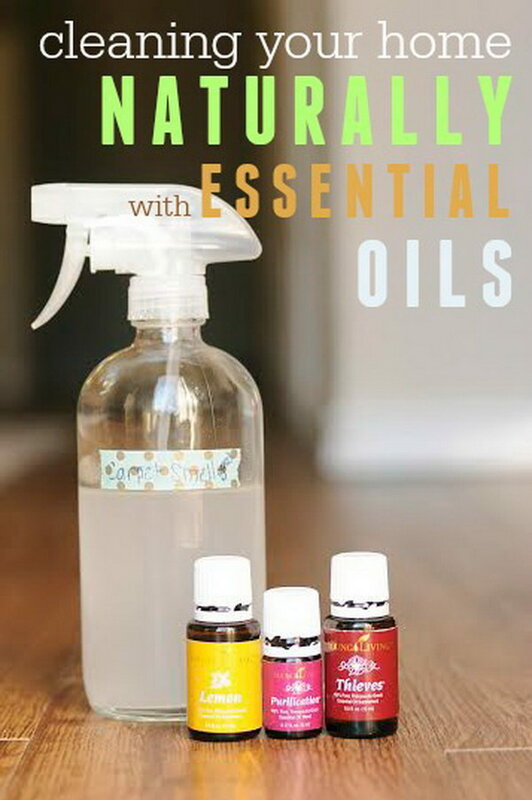 All you need are castile soap, vinegar and lemon essential oils! Get the tutorial via mom 4 real. 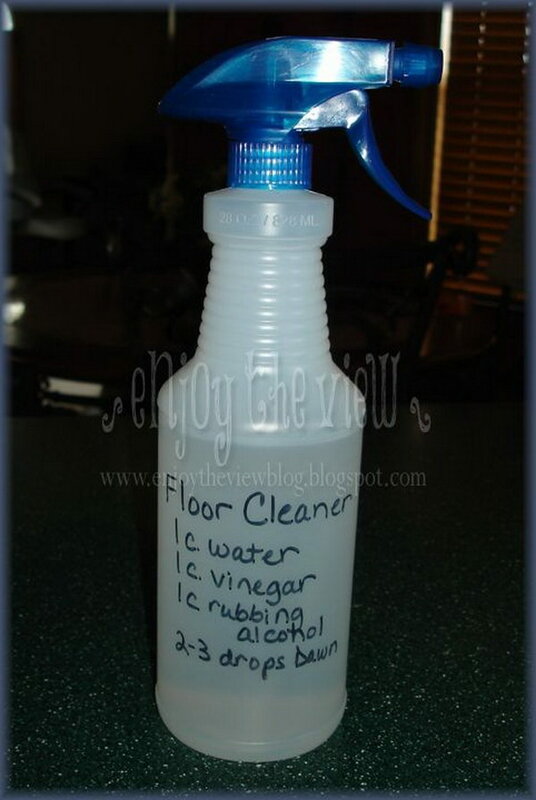 Use items you most likely already have in your household to make your own frugal laminate floor cleaner. Click here to see the tutorial. 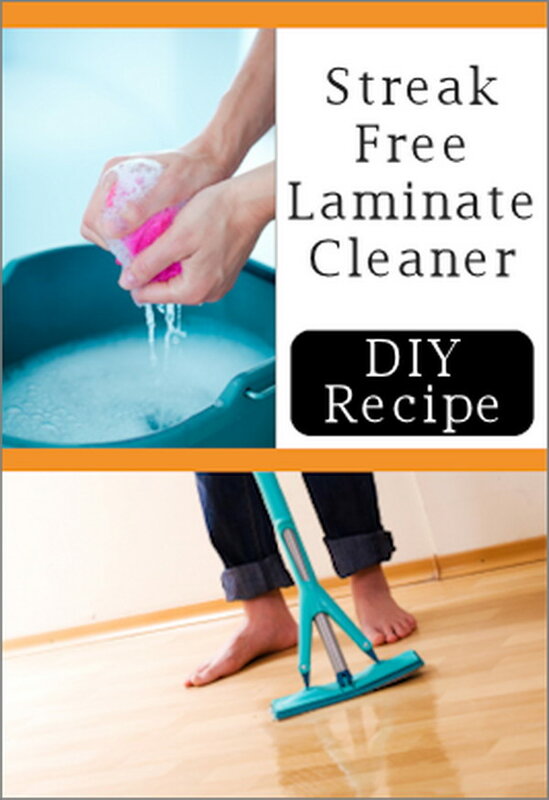 It worked well both on laminate floors and the tile floor in your kitchen and the windows and mirrors…So Awesome! See more instructions via natures nurture blog. If you can’t get over that vinegar smell, you can try this recipe with the essential oils. Get the tutorial via frugal livingnw. 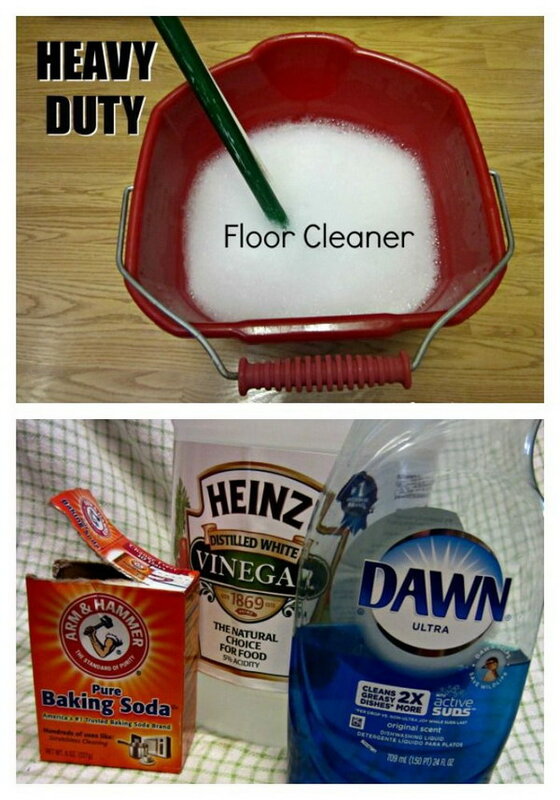 Cut grease off the your floor and leave your floors sparkling with this homemade cleaner. Get the recipes and tutorial via One Good Thing by Jillee. 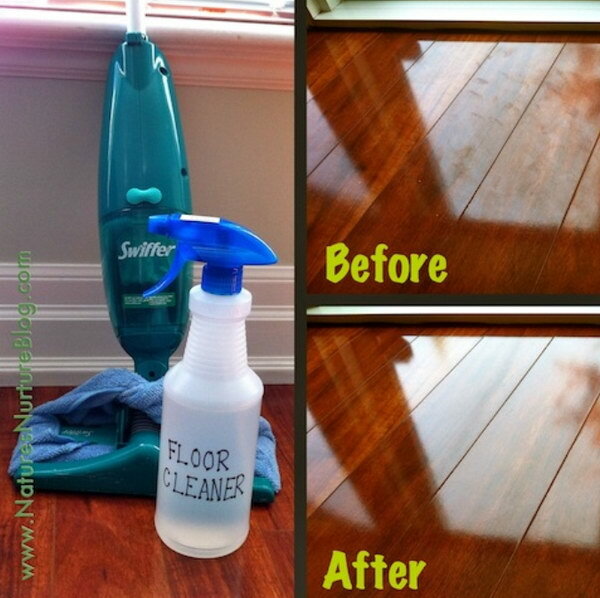 See how simple things (like dish soap, white vinegar, water) are magical for laminate floor cleaning. Tutorial via DIY Confessions. Tips to keep laminate floors clean and maintain the high gloss of laminate flooring. Details via Tip Nut. So easy, cheap and quick to put together! Tutorial via home made ginger. 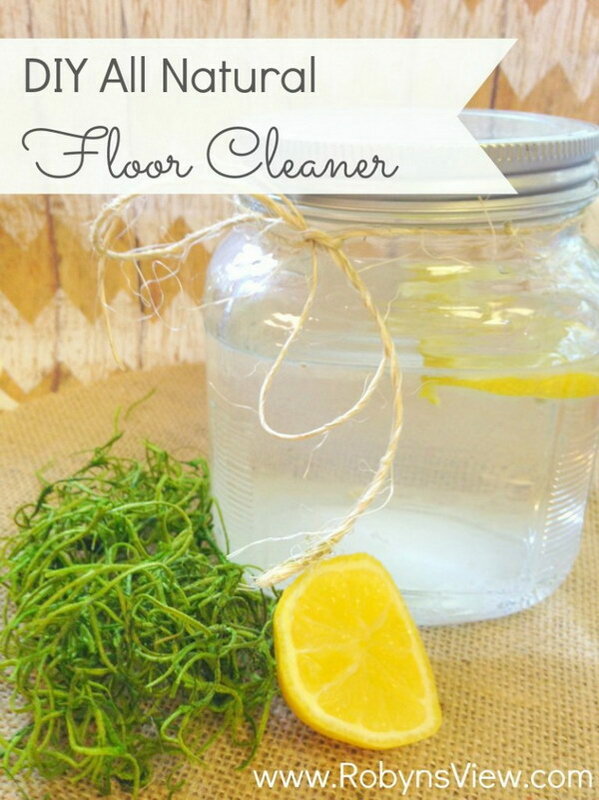 Fun to try this for a natural alternative to harsh floor cleaners. Tutorial via robynsview. 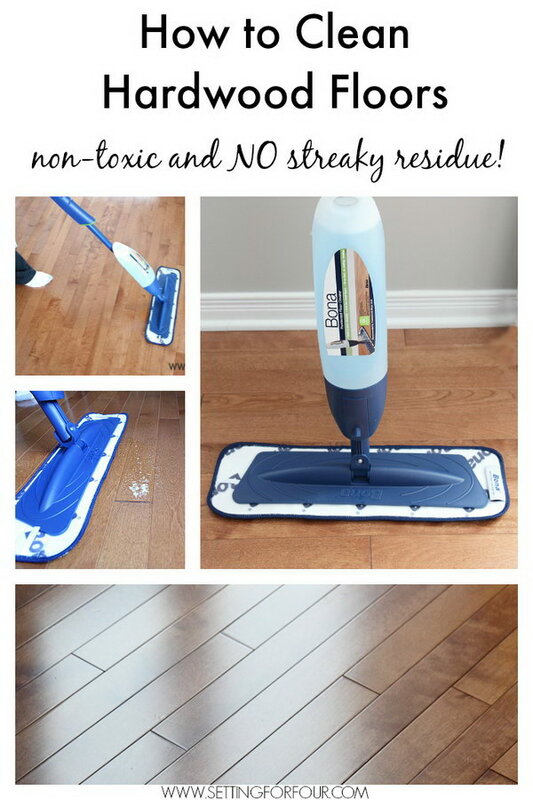 How to Clean Hardwood Floors that’s non toxic and leaves no streaky residue. See these helpful floor cleaning tipssource. Wax on and dirt off! So simple and quick! Details via Real Simple. Easy DIY no-sew swiffer pads tutorial and homemade floor solution recipe to cut the chemicals and cost on an everyday household cleaner. Check out the directions via premeditated leftovers. Tutorial via the chronicles of home. 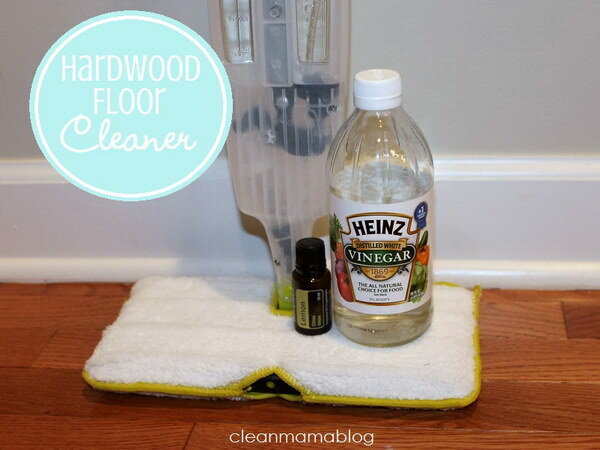 DIY natural floor cleaner wipes made for a Swiffer! Only a few natural ingredients! Get the tutorial via live simply. 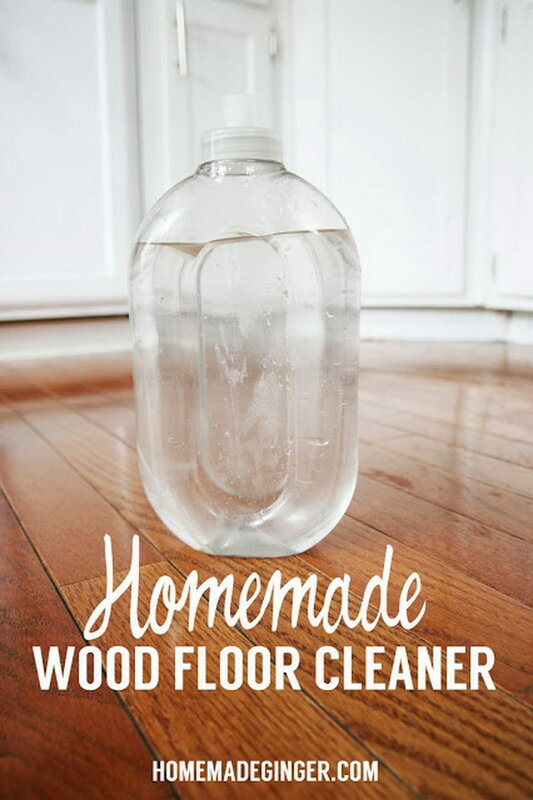 Cleaning your wood floor with this homemade wood floor cleaner. And the addition of essential oil leaves your house smelling wonderful. Tutorial via popsugar. 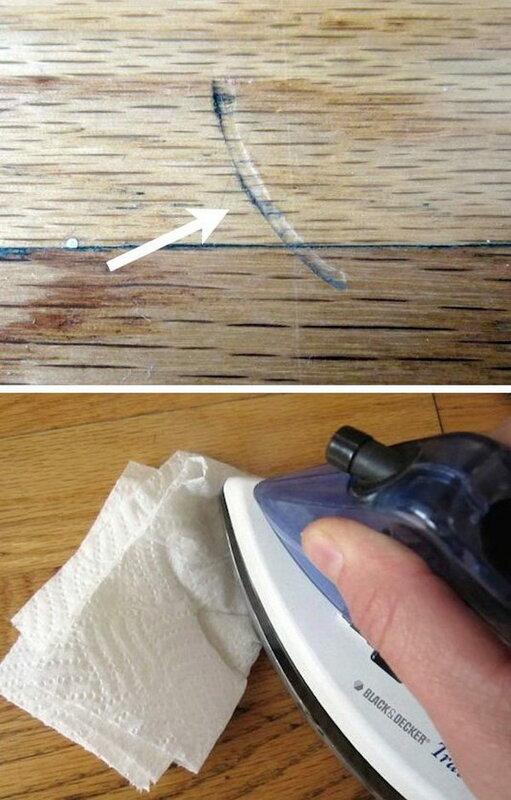 Use an iron and a wet cloth or paper towel to fix the dents in wood. The steam from the iron and wet cloth or paper towel expands the wood where it has been dented in. Tutorial via apartment therapy. 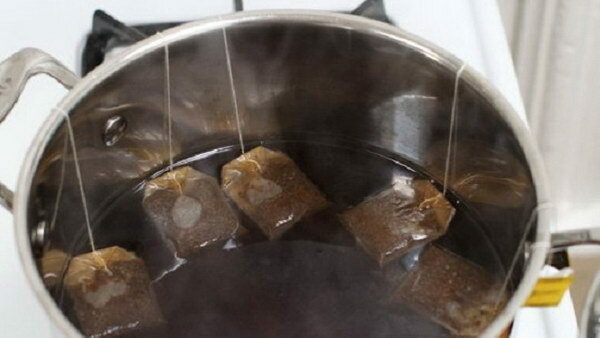 Put together a large batch of black tea to use for cleaning and disguising scratches. Details and instructions via Life Hacker. 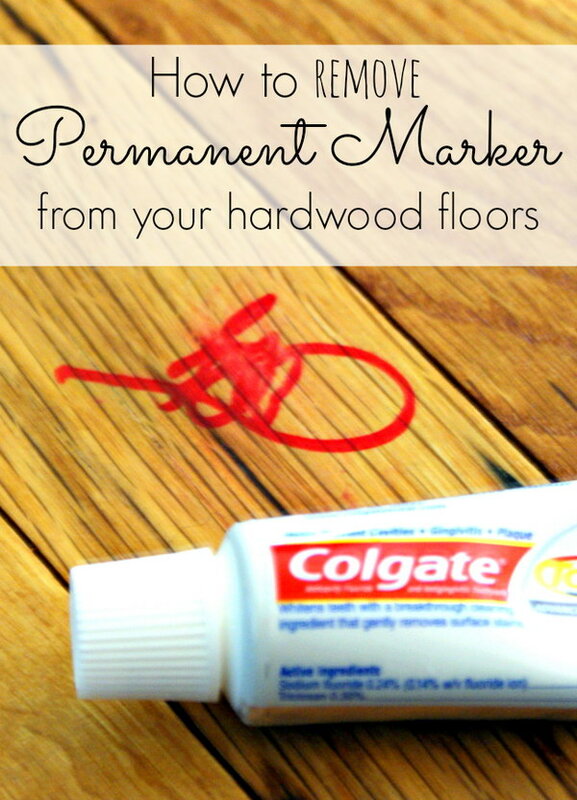 Start using toothpaste to clean permanent marker stains! Get the instructions via my life and kids. 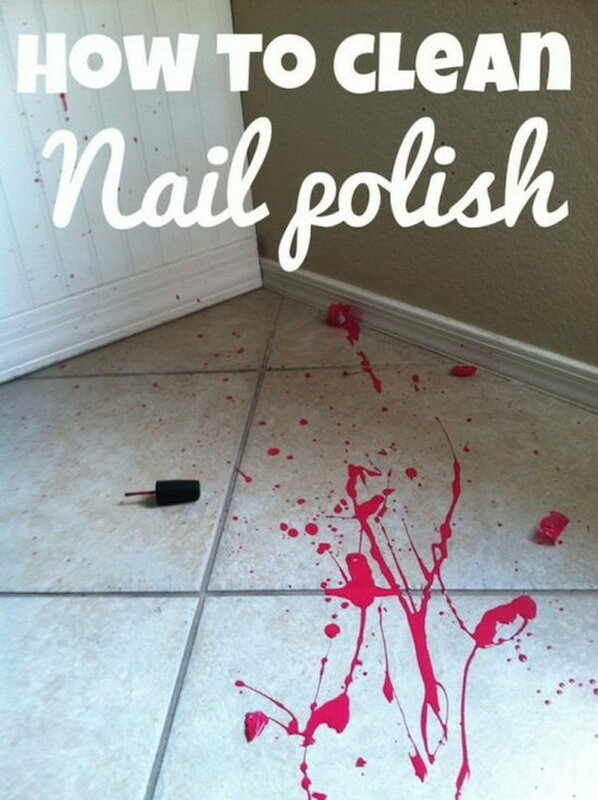 It is really a disaster to dropped a bottle of hot pink nail polish all over the bathroom tile floor. But don’t worry! Here is a few steps you can take to clean it! Details via baby center.